Current Members: Reserve tickets in advance, up to 12 pm on the day of the performance. Members will need their active and permanent member ID to reserve tickets. Reserve tickets by phone 734-647-7600, email mbgna-membership@umich.edu or visit the Front desk at Matthaei Botanical Gardens. Ticket quantity/discount is dependent on the membership level held. See information below. All reserved Member tickets should be picked up and paid for by the Member at the Box Office Will Call between 5 – 6 pm before the start of the performance. Your Member Card will be requested for verification. Any unclaimed reserved tickets will be released for public sale at 6 pm. Director’s Circle and Benefactor level members receive 2 free tickets and may purchase up to 8 discounted tickets. They may also purchase additional tickets at regular price without a ticket limit. Sponsor and Sustaining level members may purchase up to 4 discounted tickets and up to 6 additional tickets at regular price. Family Tree and Couple level members may purchase 4 discounted tickets and 2 additional tickets at regular price. Individual level members may purchase up to 2 discounted tickets and 4 additional tickets at regular price. Student level members may purchase 1 discounted ticket and 1 additional ticket at regular price. Please note: Ticket benefits are extended to each membership regardless of the number of adults listed on the membership and can only be redeemed at the box office on the day of the performance. What About the Balcony? 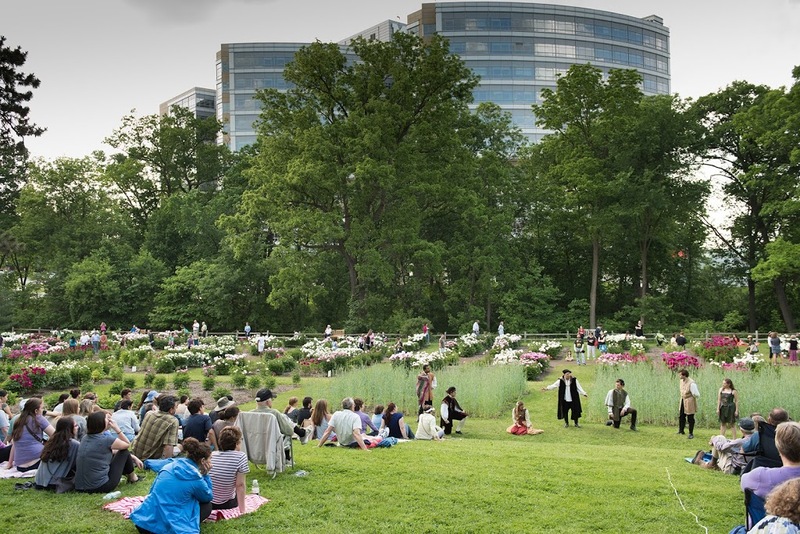 Shakespeare in the Arb Director Kate Mendeloff discusses the challenges and opportunities of staging the 2018 Shakespeare in the Arb play, Romeo and Juliet. Enjoy refreshments and a backstage look at the performances. This is a members-only event. RSVP required and available soon. Visit our calendar to explore other member events.